In the next few blog posts, I will continue with my jottings on Digital Marketing and specifically on Search Engines and Algorithms; as a refresher, today will focus on basic Search Engine Optimization (SEO) techniques out there. Search Engine Optimization (SEO) is an art and science that an Online Marketer needs to master in order for his company’s websites to appear at the top of a search engine’s results for a given search word. With the world becoming more complex and moving fast, research shows that search engine users rarely go beyond the first few pages of search results. Hence it becomes an importance mandate for the online marketer to make sure his or her website appears in the top search results. The major search engines now have predominantly limited to Google and Bing. Although there are various other general and niche search engines available, Google and Bing shares captures the major market share especially Google capturing almost 70%. Thus, the search engine optimization principles followed by marketers are predominantly catering to the expectations of Google search engine algorithms. SEO principles have evolved over the years and have gained prominence to an extend that an online marketer cannot not only avoid thinking seriously about it but also make sure that no negative effects are developing against the brand being marketed. Best practices and misuses of SEO have given rise to two basic principles – white hat SEO and black hat SEO. Basically, White hat SEO does not violate the search engine’s terms of service, but benefits appear only slowly. Black hat SEO, while faster, involves fake websites, comment spam and other unsavory tactics. Use of Black hat techniques may lead to removal from the search engine’s database. Ranking various associated page is the crux of the search results and of most importance to a SEO Professional. Search engines use various methods to decide on the relevance of keyword-page combination before displaying the results. Some of these techniques are standard across the search engines, while some are confidential proprietary techniques. An online marketer can concentrate on these standard techniques and those will be the context for following discussions in this section. Keyword density (pages that have more of the terms in the query tend to rank higher) is by far the simplest and foundation technique in SEO. Mike & Bill argue around 7 percent of the words matching the query (a 7 percent keyword density) are “good” matches. The technique and associated algorithm gets complex since the user searches for more than keyword at a time – rather a key-phrase! The second technique associated with SEO is the Keyword prominence (where they appear on a web page). Titles, Headings, and Body text are the prominent places in a web page that a search engine will look for. Link building (backlinks, cross links, internal-external links) is another technique generally used in SEO. Links especially links from external authentic websites act as a measure of credibility for search engines. For example, PageRank – Google’s search algorithm gives significant importance to this. Since its ultimately a piece of code (rather called as spider or crawler) that indexes all the web pages against appropriate keywords, HTML tags and how the web page is developed also become important for SEO. There used to a large number of search engines interacting with each other for search results and paid inclusions. However today, only a few exists [specifically Google, Bing, Yahoo, Ask Jeeves and few local search engines like Guruji and Khol). The best place to learn about various techniques is Google Webmaster’s tutorials. How Google Search Works provides the information at a layman’s level. Another comprehensive book on this topic is Search Engine Optimization Secrets . Today, SEO is moving more towards quality of content rather than the technical stuffs one can do for a website. I believe Google made these changes since the technical knitty-gritties can be easily mastered by anyone – thus circumventing the requirement of providing quality content to users. Search Engine Optimization techniques are broadly classified in on-page SEO and off-page SEO. These two represents the methods a marketer can follow for tweaking the site and utilizing other channels apart from own site to improve the search engine ranking. 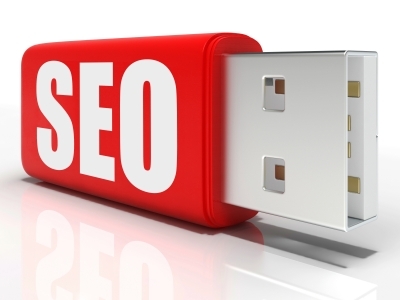 On-page SEO can be considered more like an extension of the web page content. In on-page SEO, a marketer concentrates on the technical elements that a search engine crawler will look for while ranking web pages. A typical element in the past which lost its prominence; yet important and act as a hygiene factor is the meta-tags. A marketer tries to improve the accessibility of a search engine to find, crawl and index his web pages through the HTML elements like title tags, meta tags, ALT tags and so on. This step is slightly technical in which the marketer works with the technical team. Off page SEO refers to the techniques an online marketer use to build credibility using external channels. One of the parameters that is included in search engine algorithms are to rank based on the aspect of credibility of a website in a particular domain, industry or a topic. Search engines captures this information based on factors like cross links to a web site, credibility of other websites mentioning about the service etc. Linking within a website appropriately is a good strategy followed by online marketers. Low quality incoming links can negatively impact the ranks. This was introduced by Google in order to avoid malpractices prevalent at one point of time such as link farm, keyword stuffing etc. As earlier, search engine crawlers look for specific HTML tags to index and rank web pages against keywords. For example, let’s consider a search query for IIM Bangalore and see how HTML tags of IIMB website map to the search result. This is pictorial represented below.There are many other HTML tags that are of significance for SEO like IMG ALT tags, tags in case flash is not loading etc. We will study some these while doing the SEO Audit for Books Talk. However there are many elements that a search engine cannot read while indexing that an online marketer should be aware of. Some of these are URL redirects, purely flash designs, AJAX technologies, frames and so on. Search engines also generally omit spelling variations, grammatical variations, antiphrasis (like where to, how to etc.) and stop words (like or, and, of…).A great resource for On-Site SEO is provided by Vudu marketing here. Before considering implementing the On-Site SEO guide, I would suggest to start of with Google Webmasters Tools first.This tool provides basic details about whether the search engine is facing any issues like crawl errors. We can also provide sitemaps that enables the engines to crawl our sites better. Dofollow, Nofollow - What to follow!